Uhm a true italian should have been written "TRADIZIONALE" instead of "tradicionale". 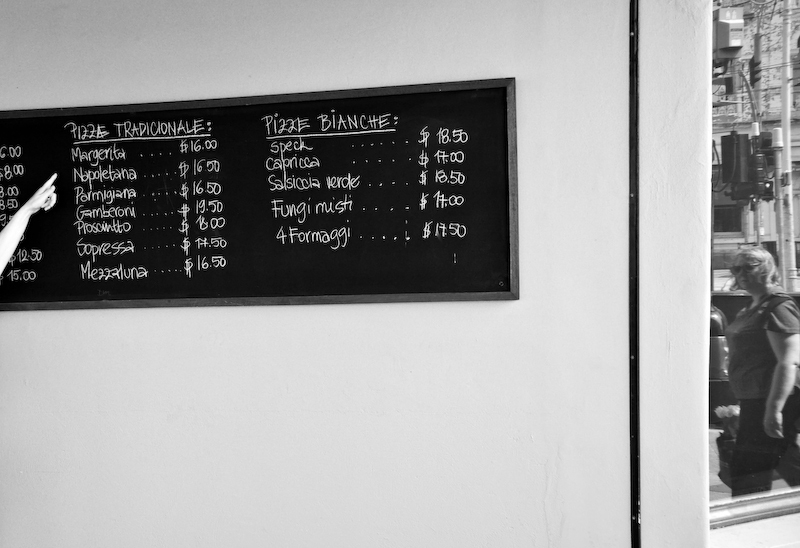 Then under "Pizze bianche" what's the meaning of "capricca"? Did they mean "capricciosa"? And not "fungi" but "FUNGHI". I enjoyed Termini, and I'm looking forward to its new incarnation. What's on at the Espy?